Your sales funnel is the roadmap for turning visitors into buyers and then, hopefully, lifetime repeat customers. If you’re just starting out, it may be hard to gauge what success means for your funnel. For veterans, you’ve already got a baseline to use as a springboard to success. Whether you’re creating a new sales funnel or trying to improve your existing funnels, we bet that you can improve your sales from these funnels by at least 2-3x without increasing your traffic. It makes logical sense that the more you put into your funnel, the more likely you are to squeeze more out. But lead generation and acquisition is an entirely different ballgame. What we’re talking about here is making the most of the leads you already have. If you can get more customers to buy more of your product, buy more upgrades and offers, and buy more often, then you stand to increase your sales. Then this is article is for you. Here’s the good news: Remediating these issues is simple. The biggest and most successful businesses know that there’s really only 3 ways to grow a business. Get those customers to spend more money with your business. Get those customers to continue to spend with you over and over again. The real benefit is in CONVERSION. 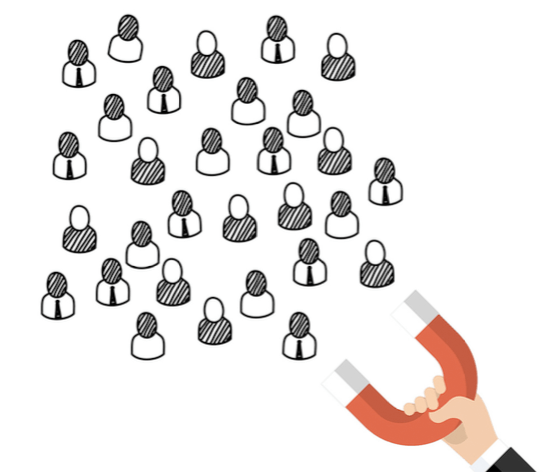 You need to convert more of the leads you get. The best funnels are the one that are the most simplistic in design. By removing all of the noise, you get down to the meat of the matter and have a smooth transition to work your leads through. Step 3: OTO Upsell#2: Graphics, Templates, Audio files Package which highly compliments the video creator software in our main offer. Our secret here is that each upsell is not required in order to make the initial offer work well, but they enhance the original offer, providing a new solution to an existing problem that the customer may have had. If you don’t offer a product at a certain price, then they’ll never be able to buy it. That might sound silly, but it’s absolutely true. The catch here is that you don’t know what the right price point might actually be. We’ve found that there’s a balance between small investment vs large investment to cater to all fractions of people who are willing to buy at different price points. It’s something to think about. To find this sweet spot, start off low, and if you have some products/programs at mid- to high-ticket, then you can build those into your funnel to generate more income. The hook is what gets them into the sales funnel, then it’s the play into more product/your pitch. You want to put them into your autoresponder sequence, and the longer the sequence, the more opportunity you get to sell products to them. There will be a point in time where you continue to offer the same product over and over again. At some point, you want to cut off that sequence, because sometimes they just don’t want that product. Then you’ll want to consider pushing them into a different funnel. Keep in mind that you don’t want to put people through a whole autoresponder sequence if they’re already a customer. What you’re trying to do is get people to buy, so it’s pointless to beat the dead horse, so to speak, if they’re already a customer. What’s important is that you don’t go from an extremely low price- point to an extremely high one. You’ll suffer in conversions, so make it a natural progression through your OTOs. If you go to a high price- point with your OTO, then maybe break it down into monthly payments so that it’s not so overwhelming. The higher your PP, the better your sales tactics need to be. That means more education, more proof, more testimonials, and a longer education process. You may not want a backend for a mid- to high- ticket item. Just focus on selling that initial product and selling it well. Build smaller fees into the cost for these items. Wait a day. If they purchased, then they’re done with the email sequence. If not, then they receive email 4, which is a different hook. You’ve already introduced the product, so now maybe push case studies for social proof. This last email is the scarcity email. We’re hoping that a lot of people will purchase on this last day if they haven’t purchased now. After they’ve completed this short sequence, we send them to another sequence. So if they complete the sequence for one product, then we push them to a sequence for another one of our products. Here’s a great example. In the early part of one of my sequences, I start with a video showing viewers how to do something like find viral content the manual way. I provide the educational value, but then in the next email, I have a video showing my product which gets the same job done in a shorter and more efficient manner. Still providing the education, but also introducing my product. 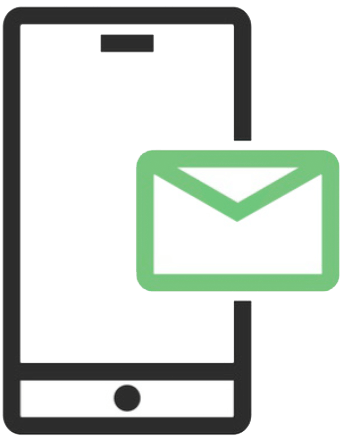 If you’re charging a mid- to high-ticket product, you’ll want to have a longer sequence (10, 15, or even 25 emails). It’ll need more education to show viewers why your product is worth buying, and that takes more emails to accomplish. Something else you can do inside of your sales funnels is to provide a report and then play off of that report for a week or two. Not everyone is going to buy just off of consuming a report, so now it’s time to try a different method. After they go through the sequence, send them to a webinar registration. Pull them into an evergreen webinar, which is just another mini-sequence. They get put into the registration if they’re not already a customer (because you’re still trying to ‘sell’ them). This sequence can have 3-4 emails to register for the webinar, and then another 3-4 for the replay. Maybe the free report didn’t get them to buy, but now the webinar might! The concept is to create mini autoresponders with nice, value-add content. 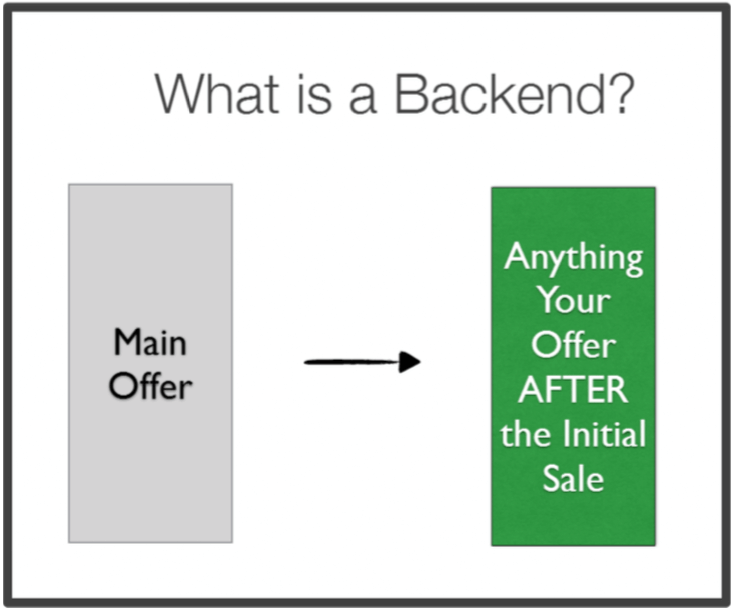 The Backend: Anything after the initial sale. The backend is an OTO (upsell), autoresponder sequences, webinar sales presentation, etc. It can be weeks or months worth of strategic sequences. Your funnel should compliment whatever your front-end is. We like to balance types of products. If we roll out a new piece of software, we like to compliment with a new training program as a OTO. We created a training program called FunnelStak. Then we created a piece of software that helps people reverse-engineer sales funnels. So this training program had an extremely relevant OTO. It cost us a few thousand bucks to create the app, but it’s hyper- targeted to anyone buying the training. Then we can promote the app and put the training program on the backend. It doesn’t always have to be a unique product or even your own product that you offer as an upsell. Tip: Do not make the OTO required for the front-end to work. People do that all the time, and it’s an easy way to tarnish your brand. On your OTO pages, use a step-by-step checkout process. Show them where they are in the process graphically. This helps them to stay in to see all the marketing offers. Add a compelling headline like ‘Wait, your offer is not complete’ or ‘Wait, take advantage of a limited special offer!’ Putting this type of headline with this checkout process helps to keep people all the way through your sales funnel. Add a scarcity timer to get them to take action on a OTO. You can also do an exit pop. If they exit out, this pop-up notifies them to keep them in the funnel. Backend pricing is your chance to increase your pricing and earnings per customer. Giving away 100% of your commissions to affiliates means that you’re able to build an email list or further sell offers down the line. These are already buyers, and they’re people that will buy from you again and again with an effective backend. It’s ideal if you can add continuity into your funnels. Generally, continuity programs work best on a backend offer. They’re more likely to buy subscriptions on the backend rather than as an upfront offer. This ongoing fee means that you need to provide quality content on an ongoing basis. Come up with a great way to provide lots of content efficiently. A buyer is about 50% more likely to buy again after they’ve already purchased something from you. This is a great way to double or triple your revenue with your properly-designed backends to your sales funnel. Your well-crafted backed can easily earn you extra thousands of dollars. Anything that converts 21-40% is an excellent rate. 10-20% is good, and anything under 10% is bad. If your OTO price is higher, your conversion rate might be lower, but your earnings could be higher per customer. Most of the time, we can get 20-30% of people to get the OTO. Test your price points, which can be easier to do on the backend. If you had a product on a sales page but then you change that price to a lower number, you’ll probably tick off a few customers. Start low and work higher when you’re working on the front-end. On the backend, you can tweak the prices both ways because it’s less noticeable (people who didn’t buy the first product aren’t going to see this activity on the backend). If the main goal is to get someone into a continuity program / subscription, then do everything you can to provide constant value. Don’t try to keep squeezing OTOs out of them…keep them happy in their subscriptions! If you’re offering software, you can extend the sales funnel without doing anything too drastic. This may not make sense with your particular software, but it does maximize lifetime value without really changing much of what you’re doing. After the initial sale, remarket OTOs. For instance ‘I noticed you bought X, but you didn’t buy X. Get this OTO at $X for the next 48 hours.’ If you’re doing a mini-sequence with these after-sale funnels, you can probably still get an additional 5-10% of these sales. Most people create a front-end offer and immediate OTOs and then stop. DON’T STOP HERE. After you’ve done your big launch, funnel them further. Offer a high-ticket webinar. We have done launches that have generated $X initially, but then we generate more from it when we offer a high-ticket webinar. There will be a fraction of people who are willing to spend more for the right program. If you don’t ever offer it, then that’s just a missed opportunity. It’s just another way to extend your sales funnel. Let’s quickly jump over to subscription-based funnels. 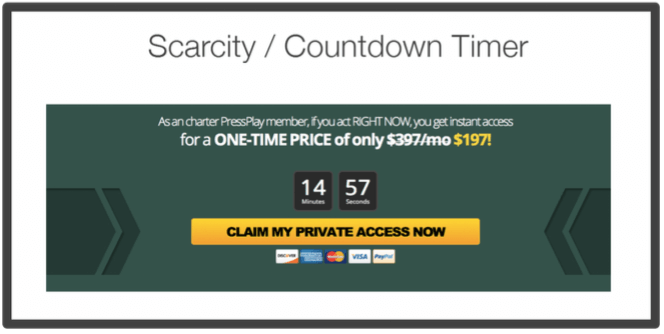 Ongoing subscription offers mean that you need to change your funnels a bit. Let’s say your software is a service-type launch with monthly fee. Have an opt-in where they’re put into an autoresponder series. It doesn’t make sense to try to continue to give these folks one time offers. You’re trying to get the lead and then get them into using the product. You could have a free opt-in, free trial, and then a paid plan. Any subscription-based product means that you need to continue to deliver value. You want to say, ‘Hey, start using the application.’ Then you can provide the value that they’ll want more of. We really like using ActiveCampaign for this but most all other autoresponders nowadays have automations. ActiveCampaign allows you to add a tag on a person so you know if they’re a buyer, not a buyer, and where they are in the sequence. In the beginning, we’ll tag them. Then, we can tag them when they complete a report or get a free trial. These tags can help you internally to understand where everyone is in the sequence and where they might be getting held up. 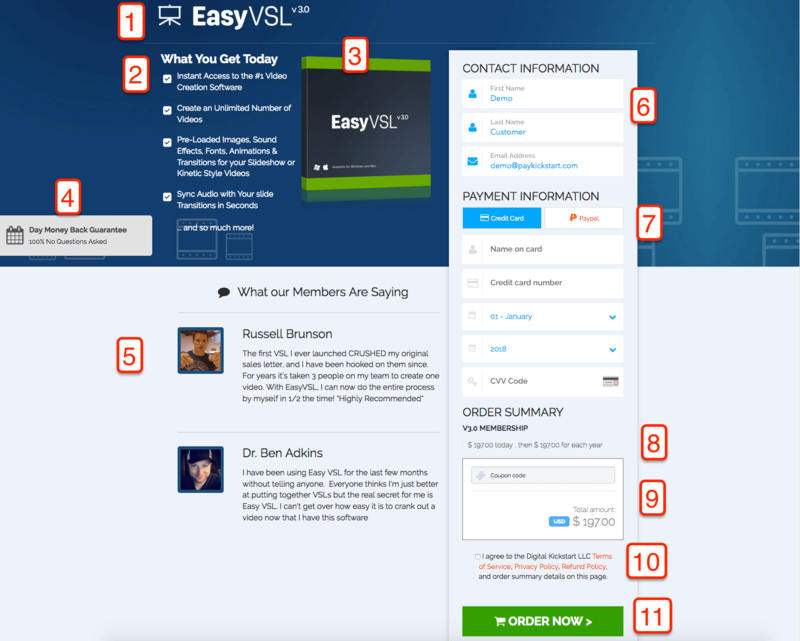 Now let’s hit on another huge point here to improving your sales funnel: the checkout page. Statistics show that the industry average is that ~88% of the people who come to your checkout page do not buy. If you have an 88% abandonment rate, that means that out of 100 of potential customers are hitting your checkout page, then 88 people out of that 100 will leave for any number of reasons. Only 12 people purchase out of that 100, and that number is dismal. But these stats are not surprising if you just look at most checkout page designs today. Detailed explanation of the product they’re buying including any bonuses and what they get. Most checkout pages don’t touch on any one of these points. And these are the businesses that are supposed to be good at helping you sell your products. You can either code your own checkout page, or you can opt for a cart that addresses every one of these issues. Which is why we made PayKickstart. The reason this page is more successful at filling out your funnel is because it touches on these 11 points we just mentioned. Eliminating unnecessary fields, providing customers with the information they need for a confident purchase, and doing it in a secure manner means that more customers are going to be inclined to push the ‘purchase’ button once they’re in the shopping cart. You can nearly triple your average over the industry average with this type of shopping cart like PayKickstart! Without even increasing your leads or changing your funnel, you can make a huge difference in your sales by simply changing the way your customers check out. If you’re selling high-ticket products, this is where PayKickstart can make an even bigger difference. Imagine plopping down a few thousand dollars for a product but arriving at a checkout page that is ugly and unsecured. Replace that with PayKickstart, and you’ll feel more comfortable in the money transfer. So many vendors do not use one-click upsells, but this is a huge opportunity for improving your conversions drastically. A one-click upsell is a OTO where you don’t have to re-enter your credit card or payment info. Now that technology has evolved, there’s the ability to do one-click upsells with credit card and PayPal called PayKickstart. 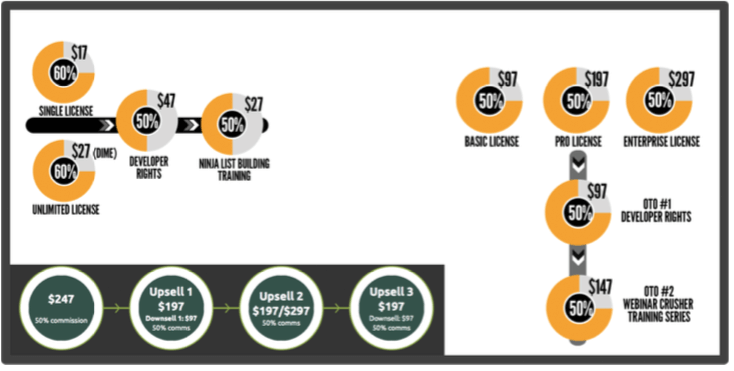 One-click upsells has dramatically increased our conversion rates — upwards of 100%. To do this, you need to go with a solution that offers one-click upsells, or you code it yourself (like with Stripe, but this is a bit more advanced and time-intensive). PayKickstart allows you to do this with PayPal. It will let the customer log into their PayPal account one time to buy the first product, and then on each OTO, their info is already logged in. So again — code this yourself, or use a simple solution like PayKickstart. Either way, the one-click upsell is absolutely essential to boosting your sales funnel for 2-3x more sales. If you’re crafting a new sales funnel or trying to squeeze more sales from an existing funnel, it’s all about how what you’re selling, how you sequence your sales, the pricing strategies you use, and how your customers are guided through the checkout process. One of the best tips we can give you is ‘don’t let technical components slow you down.’ Hire someone to do this. We use Wishlist and PPC to Plan Upgrade. You don’t need a crazy amount of programming to make the technical elements of your funnel work. Investing in the right software and programs can make your life easier and can also work in your favor when you’re trying to improve your sales funnels. 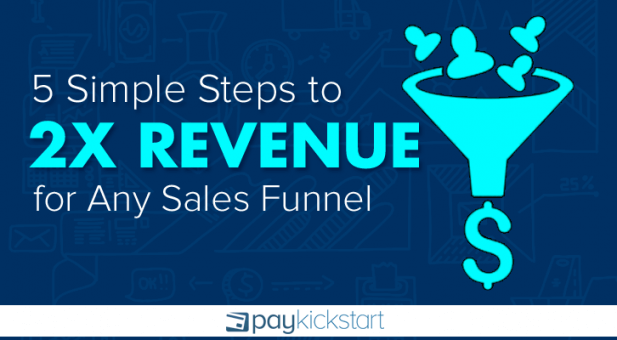 PayKickstart has been the biggest game-changer for us, and it can squeeze out 2-3x more sales from your funnels as well. It’s about making the process easy and exciting for your potential customers — and keeping them coming back for more! If you’re not using PayKickstart to sell your products and handle all of your recurring subscription payments automatically, what are you waiting for? It’s free to get started today!